Regular hygienist visits play an important part in maintaining excellent dental health and can also work wonders in helping your teeth to look and feel at their best. 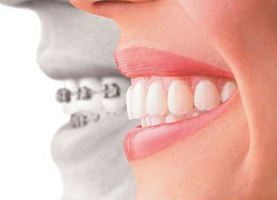 A clean and healthy mouth keeps your breath fresh and improves the appearance of your teeth. 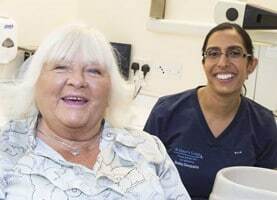 Here at St Peter’s Lodge we’ve found that most of our patients greatly appreciate the benefits of a visit, even if they keep up an efficient oral health regime themselves. You may have heard the term ‘Scale and Polish’ used to describe an important aspect of the hygienist’s work. Basically this is a professional cleaning of your teeth. Our Hygienist, Christina Mountbatton, will do this under the direction of your dentist, working to a plan which will have been agreed by the two of them and, of course, yourself. Christina will remove hard deposits from your teeth – sometimes called tartar or calculus – which can’t be shifted by brushing alone. She will check your gums, measure pocket depths around them and advise you on how to look after your teeth and gums. Keeping a clean mouth is about much more than more than preventing bad breath and even tooth decay. It also greatly reduces your chances of suffering from gum disease. You’ve probably heard that gum disease is often regarded as a bigger cause of tooth loss than even decay. The gums are the foundation into which your teeth are built, so they need to be strong and healthy before any work can be done on your teeth. Our hygienist will also help you to improve your own cleaning techniques and offer advice on diet and other related factors that can affect your dental health. She also offers children classes in how to brush their teeth and can fissure-seal permanent back teeth by applying a plastic coating to the top surface – an effective way to help prevent decay. 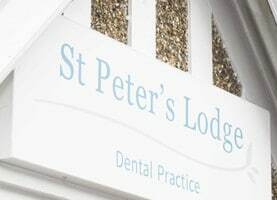 The St Peter’s Lodge approach to dentistry is focused on the whole of your health, not just that of your teeth. For some time now, dentists have recognised that the same bacteria are present in diseased gums and heart tissue. There is growing evidence of a link between gum disease and heart problems.